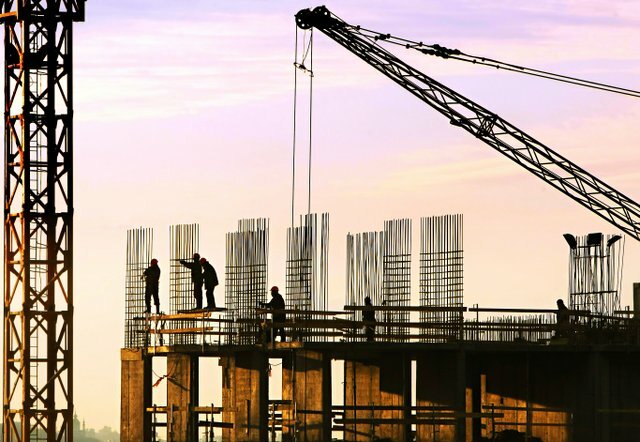 The value of new construction starts in July advanced 6% from the previous month to a seasonally adjusted annual rate of $728.1 billion, reported Dodge Data & Analytics. Leading the way was a 26% jump by the nonbuilding construction sector, which reflected an improved level for public works and the start of two massive power plants, located respectively in California and New York. Residential building in July increased 8%, as multifamily housing rebounded after three consecutive monthly declines. Running counter was a 7% slide for nonresidential building following its 14% hike in June, as both office buildings and hotels retreated from June’s elevated activity, outweighing a sharp rise for healthcare facilities in July. During the first seven months of 2017, total construction starts on an unadjusted basis were $411.9 billion, down 1% from the same period a year ago. Dampening the year-to-date performance for total construction was a steep 44% decline for the electric utility/gas plant category, even with the two massive power plants reported as July starts. If the electric utility/gas plant category is excluded, total construction starts in this year’s January-July period would be up 3% from a year ago. Nonbuilding construction in July was $195.8 billion (annual rate), up 26% from June and achieving its second highest amount so far in 2017 after February. The public works categories as a group rose 12%, rebounding after a 7% decline in June. Water supply construction had a particularly strong month, soaring 136% with the lift coming from the start of the $844 million Vista Ridge water supply pipeline project in San Antonio TX, as well as an $88 million recycled water treatment facility in San Francisco CA. Sewer construction improved 37% after a weak June, although river/harbor development receded 2%. Highway and bridge construction increased 10% in July, and featured the start of the $322 million I-74 bridge replacement across the Mississippi River in Davenport IA, a $192 million highway expansion in San Antonio TX, and a $94 million rehabilitation project on the Henry Hudson Parkway in New York NY. Through the first seven months of 2017, the top five states in terms of the dollar amount of highway and bridge construction starts were – Texas, California, Florida, Pennsylvania, and Ohio. The miscellaneous public works category, which includes natural gas pipelines and mass transit, slipped 10% in July, continuing to recede after very strong activity back in May. Even with its decline, miscellaneous public works still included the July start of the $1.5 billion Brownsville to Nueces natural gas pipeline in Texas and a $225 million rail transit project in Bellevue WA. The electric utility/gas plant category surged 64% in July, registering its second straight monthly gain in contrast to the substantially weaker activity reported during the first five months of 2017. Two massive natural gas-fired power generation facilities were included as construction starts in July – the $2.2 billon Carlsbad Energy Center in Carlsbad CA and the $1.6 billion Cricket Valley Energy Center in Dover Plains NY. There were five other large power plant projects that reached groundbreaking in July, located in Connecticut ($550 million), Georgia ($400 million), Minnesota ($300 million), Arkansas ($203 million), and Nebraska ($150 million). Residential building in July was $301.1 billion (annual rate), up 8%. Multifamily housing increased 30%, strengthening after three monthly declines in a row. There were 9 multifamily projects valued at $100 million or more that reached groundbreaking in July, led by the $360 million Wolf Point East apartment tower in Chicago IL, the $225 million multifamily portion of the $280 million mixed-use redevelopment of the Domino sugar factory in Brooklyn NY, and a $225 million condominium tower in Honolulu HI. In July, the top five metropolitan areas in terms of the dollar amount of multifamily starts were – New York NY, Chicago IL, Los Angeles CA, Boston MA, and Atlanta GA. Through the first seven months of 2017, the top five metropolitan areas, with their percent change from a year ago, were – New York NY, down 20%; Los Angeles CA, up 16%; Chicago IL, down 2%; San Francisco CA, up 27%; and Washington DC, up 6%. Single family housing in July was flat with the previous month, not yet showing renewed growth after settling back 4% in the second quarter following its first quarter 6% gain. By geography, single family housing in July performed as follows relative to June – the Northeast, up 3%; the South Central, up 2%; the South Atlantic, up 1%; the West, unchanged; and the Midwest, down 3%. Nonresidential building in July was $231.2 billion (annual rate), down 7%. The commercial categories as a group dropped 22%, retreating after climbing 24% in June. Office construction in June had surged 82%, boosted by the start of 8 office projects valued at $100 million or more, led by a $585 million Facebook data center in Omaha NE and the $400 million office portion of the $500 million renovation of the Willis Tower in Chicago IL. In July office construction fell 52%, with only one project valued at $100 million or more – the $118 million Wheaton Town Center in Wheaton MD. A similar pattern was present for hotels, which surged 65% in June with the push coming from the start of the $575 million hotel portion of the $900 million Seminole Hard Rock Hotel and Casino expansion in Hollywood FL. 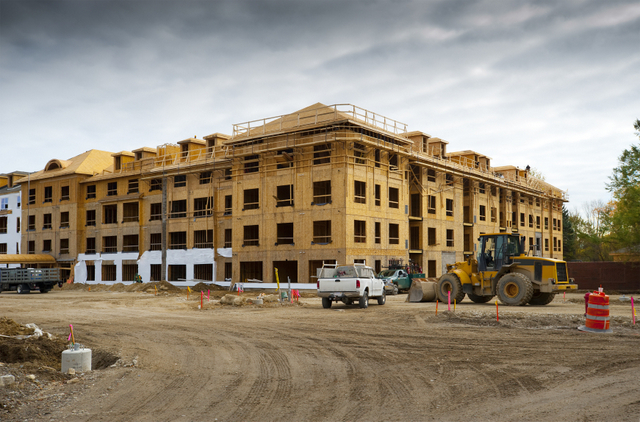 In July hotel construction fell 42%, with the largest project being the $78 million hotel portion of a $115 million hotel/apartment mixed-use project near the Seattle-Tacoma International Airport. On the plus side, warehouse construction jumped 46% in July, lifted by the start of a $144 million warehouse complex in Stockton CA, a $135 million Wal-Mart distribution center in Mobile AL, and a $100 million Amazon distribution center in Fresno CA. July gains were also reported for commercial garages, up 9%; and stores and shopping centers, up 7%. Manufacturing plant construction in July fell 29% from its June amount that included the start of a $1.8 billion methane plant in Louisiana. While down from June, manufacturing plant construction did see the start of several large projects in July, such as a $1.1 billion polyethylene plant expansion in Beaumont TX. The institutional side of the nonresidential building market climbed 16% in July, in contrast to the declines reported for the commercial and manufacturing segments. 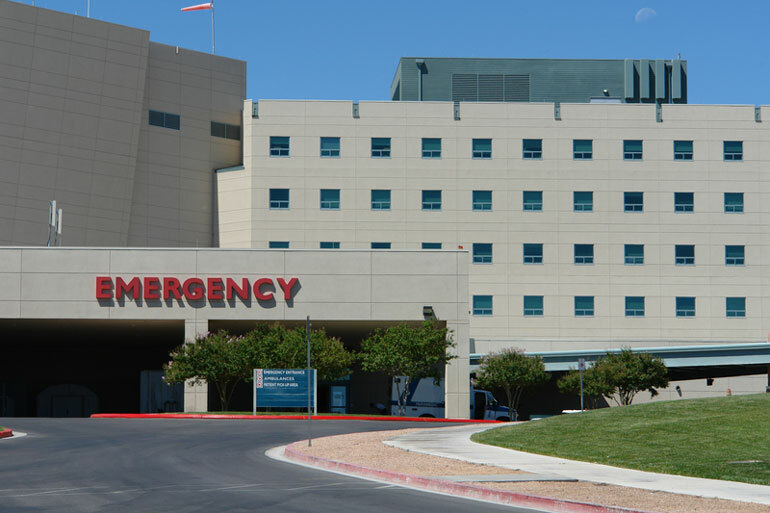 Healthcare facilities jumped 108% after a weak June, led by groundbreaking for the $1.5 billion Penn Medicine Patient Pavilion in Philadelphia PA. Other large healthcare facility projects that started in July were the following – the $349 million Inspira Medical Center in Glassboro NJ, the $125 million Bristal Jericho assisted living facility in Oyster Bay NY, a $110 million hospital expansion in Bethesda MD, and a $105 million ambulatory care complex at the University of Utah in Salt Lake City UT. Transportation terminal construction also posted a large percentage increase after a weak June, rising 85% with the help of a $121 million aircraft maintenance facility at Tinker Air Force Base in Oklahoma City OK. The religious building category, while still at a very low level, increased 24% in July. On the negative side, educational facilities slipped 3% in July, although the category did include the start of several large school construction projects, including a $104 million high school renovation in Cleburne TX, a $104 million high school in Buda TX, a $96 million public school complex in Willoughby OH, and a $91 million high school in Stoughton MA. Through the first seven months of 2017, the top five states in terms of the dollar amount of educational facility construction were – Texas, New York, California, Washington, and Massachusetts. July declines were also registered by public buildings (courthouses and detention centers), down 13%; and amusement-related work, down 32%. The 1% slippage for total construction starts on an unadjusted basis during the January-July period of 2017 was due to diminished activity for nonbuilding construction, as both residential building and nonresidential building managed to post gains. Nonbuilding construction dropped 15% year-to-date, with electric utilities/gas plants down 44% and public works down 2%. Residential building year-to-date was up 1%, with a 9% increase for single family housing slightly outweighing a 14% slide for multifamily housing. Nonresidential building year-to-date climbed 8%, with institutional building up 12% while commercial building held steady, combined with a 27% increase for manufacturing building that marks a shift from this category’s sharp declines in 2015 and 2016. By geography, total construction starts during the January-July period showed this pattern relative to a year ago – the South Atlantic, up 8%; the Northeast, up 6%; the West, up 2%; the South Central, down 7%; and the Midwest, down 14%. The 7% year-to-date decline in the South Central reflected in part the comparison to the first seven months of 2016 that included $6.2 billion for two liquefied natural gas terminals, while the 14% year-to-date decline in the Midwest reflected in part the comparison to the first seven months of 2016 that included the $3.8 billion Dakota Access pipeline. Read more about Dodge Data & Analytics here.